The question of the authorship of the Dionysian corpus is an interesting and ever-present one. It seems to be almost universally accepted in today's scholarly world that the author is not, in fact, the historical St. Dionysius whom St. Paul converted, but is rather a "Pseudo" Dionysius. But what, if any, is this pseudo's connection to the historical St. Dionysius, and what is his true identity? Many theories are bandied back and forth. However, as faithful Orthodox Christians, we are also obliged to consider the witness of the Church itself. Fathers reading and interpreting the Dionysian corpus understood St. Dionysius himself to be the author, and the liturgical service in his honor attributes the writings to him. Thus we ought to give consideration to the articles below, two by the Rev. John Parker who translated St. Dionysius in the late nineteenth century, and one by the eminent Romanian theologian Fr. Dumitru Staniloae, who lay out arguments for the traditional, Dionysian authorship of the works. Both consider, among other things, the supposed Neoplatonic influence upon the Dionysian writings, and question if perhaps, in fact, the Neoplatonists were influenced rather by St. Dionysius? If, then, we can prove that the writings of Dionysius existed before and were known in Alexandria, when Pantaenus delivered his lectures in that city, we may fairly infer that Pantaenus would know, and knowing, would use, the writings penned by the Chief of his own Areopagus, and Bishop of his own Athens. Historical criticism does not permit us to reject probabilities, merely because they confirm the Christian Faith. Dionysius of Alexandria, writing to Pope Sixtus II, c. 250, respecting the writings of Dionysius the Areopagite, affirms “that no one can intelligently dispute their paternity—that no one penetrated more profoundly than Dionysius into the mysterious depths of Holy Scripture—that Dionysius was disciple of St. Paul, and piously governed the Church of Athens.” If, then, the Bishops of Alexandria and Rome exchanged letters only a few years after the death of Pantaenus, and only seven years after the death of Ammonius, and in those letters affirmed the writings to be undoubtedly written by Dionysius the Areopagite, it would be the height of absurdity to affirm that such writings were unknown to Pantaenus and Ammonius. But we do not need to base our proof on mere supposition. Routh gives two fragments of Pantaenus. The second is a distinct echo of Dionysius. In Divine Names (c. 7), Dionysius discusses how Almighty God knows existing things, and explains the text; “He, knowing all things before their birth” as proving that “not as learning existing things from existing things, but from Himself, and in Himself, as Cause, the Divine Being pre-holds and pre-comprehends the notions and essence of all things, not approaching each several thing according to its kind, but knowing and containing all things within one grasp of the cause. Thus Almighty God knows existing things, not by a knowledge of existing things, but by that of Himself.” Dionysius (c. V. s. 8) speaking of creation, declares that the Divine and good volitions of Almighty God define and produce existing things. In Mystic Theology (c. V.) Dionysius says, “Almighty God does not know existing things, qua existing.” The teaching of Ammonius-Saccus is the same; Ammonius uses the word βούλημα, Dionysius and Pantaenus θελήματα, of God, as Source of Creation. To show that Origen knew the works of Hierotheus, we give an extract from his letter to Gregory: “Would that you might both participate in and continually augment this part, so that you may not only say, ‘we are partakers of Christ,’ but also partakers of God.” Papias, Bishop of Hierapolis (fragment V.), c. 140, says, “The Presbyters, the disciples of the Apostles, say that this is the gradation and method of those who are saved, and that they advance through steps of this nature, and that, moreover, they ascend through the Spirit to the Son, and through the Son to the Father; and that, in due time, the Son will yield up His work to the Father.” Who the Presbyters, the disciples of the Apostles were, we may gather from the three last chapters of the “Book of Hierotheus" Br. Mus. (Ad. Rich. 7189), in which the very same doctrine is taught. Is it not, then, a legitimate inference, that when Photius says “ that Pantaenus was a pupil of the Presbyters who had seen the Apostles,” he designated Hierotheus and Dionysius the Areopagite, generally known under that title? Ammonius was surnamed Saccus from having been a corn carrier. Virgil, Shakespeare, Milton, were great geniuses in themselves, but when we know the sources from which they drew, we can better understand their achievements. Dionysius was indebted to Hierotheus—Ammonius drew from Dionysius. This we shall show, not as we might by his works as described by Photius, but from Plotinus, his disciple, in order that we may have the prevailing proof, to some minds, of testimony not necessarily Christian. Plotinus remained under him eleven years, until the death of Ammonius, 242 AD. In 244 AD, Plotinus began to teach in Rome. Plotinus was not a refined scholar. Porphyry, therefore, committed his teaching to writing. Porphyry was regarded as the greatest enemy to the Christian Faith in the early centuries. Persecutors burned the bodies of Christians, but Porphyry sought to undermine their faith in the Holy Scriptures, by quibbles of unbelief, which have been revived to-day as “New Criticism.” Porphyry wrote against the Holy Scriptures with a bitterness engendered by a conviction of their truth. Now, it is a startling fact, that though the teaching of Plotinus comes to us through Porphyry, there is not a word in the Enneades, in which the teaching of Plotinus is given against the Christian Faith. It is true that Eutochius published another version of the teaching of Plotinus, on the ground that his teaching was colored by Porphyry, but we prefer to rest our proof on Porphyry, as not being prejudiced in favour of the truth. Let us then first see what Plotinus teaches respecting the Holy Trinity. He says, “We need not go beyond the three Hypostaseis” (Persons). It is true that Plotinus presents that Trinity as “One,” “Mind,” and “Soul,” whereas Dionysius gives the formula “Father, Son, and Spirit.” Occasionally Plotinus uses “Logos” instead of “Mind.” But even this substitution of “One” for “Father” may be traced to Dionysius, who speaks of the Triad, ἐναρχικὴ and even ἐναρχικῶν ὑποστὰσεων, “One springing”. The “One” represents the Father. Plotinus says, “We may represent the first principle, ‘One,’ as source, which has no other origin than Itself, and which pours Itself in a multitude of streams without being diminished by what it gives.” Dionysius speaks of the “Father” as sole source of Godhead, and says that “the Godhead is undiminished by the gifts imparted.” In Chap. XII of Divine Names, Dionysius treats of “One” and “Perfect” as applied to Almighty God. Let Us now hear Plotinus on the “Beautiful” Enneades (I. 6-7). Plotinus says, “The soul advances in its ascent towards God, until being raised above everything alien, it sees face to face, in His simplicity, and in all His purity, Him upon Whom all hangs, to Whom all aspire; from Whom all hold existence, life and thought. What transport of love must not he feel who sees Him! With what ardour ought he not to desire to be united to Him! He, who has not seen Him, desires Him as the Good; he who has seen Him, admires Him as the sovereign Beauty; and struck at once with astonishment and pleasure, disdains the things which heretofore he called by the name of Beauty. This is what happens to those to whom have appeared the forms of gods and demons; they no longer care For the beauty of other bodies. What think you, then, should he experience who has seen the Beautiful Himself—the Beautiful surpassing earth and heaven! The miserable is not he, Who has neither fresh colour nor comely form, nor power, nor royalty; it is alone he, Who sees himself excluded from the possession of Beauty—a possession in comparison with which he ought to disdain royalty, rule of the whole earth, of the sea, and heaven itself, if he should be able, by abandoning, by despising all these, to rise to the contemplation of the Beautiful, face to face.” Plotinus also recognized, “that the eye soiled with impurity could never bear the sight, or attain to the vision of that Beauty. We must render the organs of vision analogous and like to the object that they would contemplate. 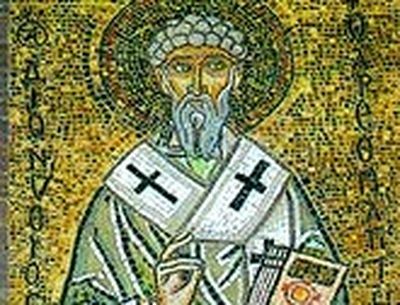 Every man ought to begin by rendering himself beautiful and divine to obtain a Vision of the Beautiful and the Deity.” Well might St. Augustine say, that “with the change of a few words, Plotinus became concordant with Christ’s religion.” No wonder that Gregory and Basil quoted so largely from Plotinus. Let us now hear what Dionysius says of the “Good and Beautiful”: “Goodness turns all things to Itself; all things aspire to It, as source and bond and end. From this Beautiful comes being to all existing things. All things aspire to the Beautiful and Good, and there is no existing thing which does not participate in the Beautiful and Good.” Read the Fourth Chapter of the Divine Names. Porphyry records that Plotinus attained to that vision of the Beautiful three times during his life. How that vision of the Beautiful is to be attained, Dionysius describes in the Mystic Theology: “But thou, O dear Timothy, by thy persistent commerce with the mystic visions, leave behind both sensible perceptions and intellectual efforts, and all objects of sense and intelligence, and all things not being and being, and be raised aloft agnostically to the union, as attainable, with Him Who is above every essence and knowledge. For by unchecked and absolute ecstasy, in all purity, from thyself, and all, thou wilt be carried on high to the superessential Ray of the Divine Darkness, when thou hast cast away all and become free from all.” Ammonius had such ecstasy during his lectures, in which he seemed to have Divine visions. Plotinus differs from Dionysius in regarding creation as an act of necessity, whereas Dionysius regards it as an act of love. Plotinus treats evil as “an elongation from God.” Dionysius speaks of Almighty God as immanent in matter the most elongated from spirit. Plotinus traces evil to matter; Dionysius to the fallacious choice of a free agent. May it not be that the pagan coloring of Porphyry in these respects led Eutochius to give a more faithful and consistent account of the teaching of Plotinus. But the crowning proof that Dionysius was the source from which the Alexandrine School drew much of its wisdom, is Proclus (450-485). Suidas affirmed long ago that Proclus cribbed whole passages from Dionysius. Professor Stiglmayr fills seven pages with parallel passages. Vachérot describes certain chapters of the Divine Names as extracts from Proclus, word for word, and says the whole doctrine of Dionysius seems to be a commentary upon the Theology of Alexandria. Barthélémy St. Hilaire says that Dionysius and Scotus Erigena almost entirely implanted, in the Middle Ages, the doctrine of Neo-Platonism. Matter is more profound; Professor Langen finds in Dionysius the “characteristics of Neo-Platonic speculation.” The similarity of doctrine is denied by none. Which writings appeared first? That is the question. Dexter commemorates the Divine Names from Tabularia of Toledo, 98 AD. Polycarp quotes Dionysius verbatim as “a certain one.” Jerome quotes him as “quidam Graecorum.” Dionysius of Alexandria (250 AD), writing to Sixtus II, declares that no one can intelligently doubt that the writings are those of Dionysius, the convert of St. Paul, Bishop of Athens. Tertullian expresses the Agnosia “nihil scire omnia scire,” and Origen quotes him by name. Theodore (420 AD) answers objections, whom Photius approved. Gregory calls Dionysius “an ancient and venerable Father.” The Second Council of Nicea quotes the very words, contained in the Ecclesiastical Hierarchy (c. I. s. 4) as those of the great Dionysius. Bishop Pearson proves that the best judges in the sixth, fifth, fourth and third centuries regarded the writings as written by Dionysius the Areopagite. German scholars today admit that the external testimony is in favor of their genuineness. Yet eccentric critics, on account of the precise theology, cannot believe that the works were written by a learned Greek,—Chief of the Areopagus, who forsook all to follow Christ, the convert and disciple of St. Paul, the familiar friend of St. John and other Apostles, to whom our Saviour revealed the mysteries of the Father; but those critics can believe that an unknown man, whose century no one can fix, and possibly a Syrian, may have gleaned from writers of the first four centuries these theological pearls expressed in Greek in a style unique and always like itself. They can believe that the Author of these Divine writings would incorporate fictitious allusions to persons and events of the apostolic age, to add lustre to incomparable works, and to impute them to another. They can believe that writings, so composed, were foisted upon a credulous Christendom, so that Dionysius of Alexandria, Maximus, St. John Damascene, and the Council of Nicea, accepted them as the genuine works of Dionysius. I do not belong to that school. Only unbelief could believe anything so incredible. Rational men will not hazard the surmise that works known in the first century were gleaned from writings composed four hundred years afterwards. We claim that the testimony of these illustrious men, and the extracts from Pantaenus, Ammonius, and their disciples, justify the conclusion that the Alexandrine School was Biblical, Christian, and Philosophical, that its Philosophy was a Divine Philosophy of the Faith, not a pagan philosophy against the Faith, and that the main sources of its Divine Philosophy were the writings of Hierotheus and Dionysius, Bishops of Athens. For a sketch of the Life, Internal Evidence of Date, and External Testimony to Genuineness during the first nine centuries, see Celestial and Ecclesiastical Hierarchy (Skeffington, 2s. 6d.). The most plausible objection to the genuineness of these [Areopagite] writings is thus expressed by Dupin: "Eusebius and Jerome wrote an accurate catalogue of each author known to them, with a few obscure exceptions, and yet never mention the writings of the Areopagite." Great is the rejoicing in the House of the Anti-Areopagites over this PROOF; but what are the facts? Eusebius acknowledges that innumerable works have not come to him; Jerome disclaims either to know or to give an accurate catalogue either of authors or works. The Library of Caesarea contained three hundred thousand volumes, according to the modest computation of Doublet, and according to Schneider, and many more. Jerome says there are some writings, so illustrious in themselves, that they will not suffer from not being mentioned by him. Jerome follows Dionysius on the Heavenly Hierarchy. Jerome's Catalogue of Illustrious Men contains one hundred and thirty-five names. Josephus is mentioned for his testimony to Christ. Seneca for his correspondence with St. Paul. Philo for his description of the Therapeutae of Alexandria. Yet Dupin would have the unwary infer that Jerome gives a full catalogue of each Author known to him, with a few obscure exceptions. The Ecclesiastical History of Eusebius treats of the nature of Christ, the companions of the Apostles, the Martyrdoms, the succession of Bishops, the persecutions, and the folk-lore of the Church to the fourth Century. The book would fill about 125 pages, yet Dupin would have us believe that he gives a complete catalogue. He does not give the writings of Hymenseus and Narcissus, of Athenagoras, and Pantaenus, nor a complete list of Clement, Origen, and Dionysius of Alexandria. His silence, in my opinion, is owing to "odium theologicum." According to Eusebius, Jesus is διττός; according to Dionysius, Jesus is ἁπλοῦς; both true when properly understood, but when misunderstood, "Hinc lachrymae illae". Dupin formed his premise for his conclusion, not from facts. Pearson, Daillé, Blundellum, Erasmus, Valla, Westcott, Lupton, pronounce against the genuineness. Who are you? But Pearson demolishes Daillé; Vossius pulverises Blundellum; Erasmus repudiates Valla. Dr. Westcott, following Dupin, assumes the non-genuineness, but his literary instinct places his Article on Dionysius before that on Origen. Dean Colet bumps the scale against Mr. Lupton. Pearson, in the 10th Chapter of Ignatii Vindiciae, gives the shortest and best summary in favor of the genuineness. Speaking of the scholars of his own day, he says, "No one is so ignorant as not to know that these writings were recognised as genuine by the best judges in the sixth, fifth, fourth, and third centuries." Unhappily, he also said, every erudite person regarded them in his day as written in the fourth century, and he assumed the date of Eusebius' death, as the date of the works, to account for his silence. Hence every inerudite persons, who wished to pass for erudite, maintained that opinion for his own reputation. But when Pearson had re-surveyed the evidence, he confessed, with shame, that though he had given, what seemed to him a true opinion, he left the decision of the whole matter to the judgment of a more learned person. Erasmus, in his Institutio of a Christian Prince, writes thus: "Divus ille Dionysius qui fecit tres Hierarchias." In his prime work,Ratio Verae Religionis, Erasmus not only enumerates the Divine Names and the Mystical and Symbolic Theology, but calls them, not Stoic, not Platonic, not Aristotelian, but "celestial" philosophy. He so molds Dionysius into his book, that it becomes Dionysius writing elegant Latin. The only reason which outweighed with him all external testimony was that Erasmus could not imagine that any man, living in apostolic times, and so far removed from the age of Erasmus, could possibly have penned such a mirror of apostolic doctrine. How could the Areopagite, though disciple of Paul, and familiar friend of John the Theologian, possibly be so learned as the author of these writings? Such is the testimony of the two Theologians who have been permitted to be doubtful of the genuineness. Gregory is the great authority of those who think that St. Denis of France is not identical with Dionysius the Areopagite. The authority is worthy of their critical acumen. Gregory collects the more obscure martyrdoms, in Gaul, under Nero, and subsequent Emperors. He gives several martyrdoms under Nero, and thus proves the Apostolic Evangelization of Gaul. Gregory quotes, and misquotes, and misunderstands the ancient document, "Concerning seven men sent by St. Peter into Gaul, to preach." "Under Claudius-sub CLDIO-Peter the Apostle sent certain disciples into Gaul to preach, they were Trophimus, Paulus, Martial, Austremonius, Gatianus, Saturninus, Valerius, and many companions." These men were sent 42-43 AD. Gregory omits Valerius, and inserts Dionysius, who was not converted to the Christian Faith till 44 or 49 AD. Then Gregory misreads "Claudio" for "consulibus Decio", and adds "Grato" as the fellow-consul. Thus a disciple of the Apostles, sent by Clement, successor of Peter, arrives in Gaul in 250, and the identical names of his companions recur miraculously in the third century. At the very time that Trophimus is thus supposed to have arrived at Aries, we have a letter from Cyprian, 254 AD, urging Pope Stephen to depose Marcion, 15th or 18th Bishop of Aries from Trophimus. Such is the basis upon which our critical friends build their house upon the sand. The Pères Bolandistes are a wonder in Christendom. They are critical, and yet follow the gross blunder of Gregory of Tours. They belong to the papal obedience, and yet prefer Gregory of Tours when wrong to Gregory XIII when right. They pronounce the solemn declaration of Pope John XIXth, "that Martial of Limoges was an apostolic man," as of no historic value. They think that St. John Damascene did not possess the same critical apparatus for proving the authenticity of the writings of Dionysius that we possess in the 19th Century. Their "actes authentiques" of Dionysius acknowledge that he was sent to Gaul by Clement, successor of Peter; and yet they affirm that he arrived in Gaul in 250. After Clement I, who succeeded Peter and Paul, there was not another Clement Bishop of Rome for a thousand years. Happily, Les petits Bolandistes are more rational and critical than their Pères. "The style, the theological learning, the language and allusions, prove the writings written after the apostolic age." Is the Epistolary style the proof? St. Paul, St. John, St. Peter, St. Luke, and nearly the whole of the New Testament is written under the form of Epistles. The Epistle of St. James, the first written in the Canon of the New Testament, will bear comparison with the book of Job for ornate diction. Consult the marginal references to the Epistle of St. Peter to see the scriptural knowledge of the Apostles. Men use the testimony of the High Priests, that the Apostles were unlearned and ignorant men, but omit their testimony that they took knowledge of them, that they had been with Jesus; and the further testimony that Jesus opened their understanding, that they should understand the testimony of the Scriptures respecting Himself; and further, that the Holy Spirit should recall to them whatever He had said to them. Those who would rather assume twenty miracles, than acknowledge one natural fact, surmise that a Syrian, in the fourth century may have written Greek permeated with technical expressions of Plato and Aristotle. There is not a single allusion to persons or events after the first century, unless it be supposed that the Epistle of Ignatius, 108 AD, is quoted. The works abound in names recorded in the New Testament. The Apostolic Epistles allude to the leaven of heresy already working. The Antwerp edition gives about five hundred references to Holy Scripture in the Writings of Dionysius. He quotes every book in the Bible, except the two last particular Epistles of St. John, or John the Presbyter. Dionysius writes four letters to Gaius, to whom St. John wrote his third Epistle. We have, therefore, in the writings of this Apostolic man, a proof that the Canonical Scriptures were quoted as the Oracles of God, in the first century, and a triumphant testimony that Faith is more trustworthy than criticism. Printed by James Parker and Co., Crown Yard, Oxford, with thanks to Mystagogy. We can say that the presentation of Dionysius as a pantheist has encouraged in the Western Christian world a separatist and secularist vision of the world in relation to God, which in turn reinforced the philosophies of the world as the unique reality. This understanding was the reason why in the West, Dionysius was suspected as encouraging pantheism, whereas in the East he always enjoyed great authority as a source of Christian spirituality. In regards to the alleged pantheistic marks of the Areopagitic writings, which would therefore have them written after Plotinus and Proclus, we deem necessary to prove their Christian character. That will allow us to show the uncertainty of a date after Proclus for the writings, and as unfounded the exclusion of the possibility that they have been authored by Dionysius from the Areopagus of Athens who was converted by the Holy Apostle Paul to the Christian faith. This possible conclusion will be enhanced by some other facts, no less conclusive than those adduced by the deniers of the authorship of Dionysius of the Areopagus. We cannot notice in all the Areopagitic writings any concern with the defense of the Holy Trinity, any concern with the defense of the teaching about Christ as hypostasis in two natures, nor any concern with Nestorianism or Monophyisitism. This suggests that they had been written neither after the First Ecumenical Synod, nor after the Second, the Third or the Fourth, i.e. between the end of the fifth century and the beginning of the sixth. Of course one cannot say that there is no teaching about the Trinity or about Jesus Christ. Also lacking are the developments about the Holy Trinity from the writings of St. Athanasius the Great, St. Basil the Great or St. Gregory Nazianzen. There is no concern with the union of the two natures in the unique hypostasis of the Word from the writings of St. Cyril of Alexandria. The theme of the Dionysian writings is the defense of the teaching about God in Trinity as different from the world, in other words a defense of the Christian faith in general against the philosophical thinking of the time, but using its vocabulary. Was a rejection of the pantheistic philosophies at the end of the fifth century still necessary? Who could have been keener to win the intellectuals, formed in the mold of the pantheistic philosophies, than a philosopher himself? Could he have remained idle since becoming a Christian and not use his gifts in an activity for which he was qualified? He could have put together those writings around the year 100 AD, when the opposition against the Christian teachings was taking shape. One can raise today the same objection raised by an Orthodox theologian in 533 during his polemic with a Severian Monophysite: How can we be sure that these writings belong to Dionysius of Areopagus, when we cannot see them used by the Fathers since? To this objection one can answer: The writings were not offering any arguments for the defense of the Holy Trinity or of the teachings about Christ. They must have been, perhaps, less copied and they were used in more restricted circles. In general, the Fathers were not perusing too much the writings of the preceding Fathers, but almost exclusively the Holy Scriptures. But how does the author of the Areopagitica defend the Christian Faith, using the philosophical language of the time? A. He makes a clear distinction between the being (trans. – in Romanian fiinţa) of all things among which we live and the One above being. In Greek being is derived, like in Romanian, from the verb to be: it is actually the participle of the verb to be(trans. – a fi, fiinţă). That is, that being is the same as existence. The author of the Areopagitica uses for God the term the one above being, not in the sense of the highest being, but in the sense of beyond existence. He is not simply existence, but is beyond existence, because all things that exist, as we know them, must have a cause. God is beyond existence because He has no cause, but is the cause of everything. That points to a total difference between God and the world. The author makes an “existential” difference between everything that exists and Him – this gives Him the power to be the sole cause of everything. Dionysius defends the idea of God as totally different from the world, in contrast with pre-Christian philosophies. B. The author borrows from Plato the idea of the identity of existence with good. Existence itself is a good. The highest existence is the highest good. But Plato does not draw the conclusion that the good implies an eternal relation between Person and Person, as the author of the Areopagitica does. But God is not simply goodness, but is above goodness. It is goodness caused by nothing and the cause of all goodness .This is a different kind of goodness than the one known by us. The goodness of God is from itself, and is one with perfect freedom. The stages of existence, dependent of one another, the higher ones obliged to sustain and raise the inferior ones in existence, therefore in goodness, and the inferior ones attracted by the superior ones, are all in a state of dependence between themselves, but also of God who is above all goodness, good in itself, the perfect good. This is the foundation of the celestial and world hierarchies and of their relations. The obligation (of the superior hierarchies) towards the inferior and the attraction of the inferior (ones) towards the higher give an internal basis to the relations between the members of the hierarchies. Dionysius asserts thus not only the existence of a God different from the visible world, but also the existence of a hierarchical order superior to this world, a thing rejected by ancient philosophy. According to Dionysius, the hierarchy of the entire creation links not only the angelic world with the earthly one, but also all the orders of the angelic world with those of the earthly world. In this hierarchical vision, all the inferior steps receive divine illumination from those above and the superior ones have the duty to communicate these illuminations to the inferior ones. Only the supreme angelic order receives illumination exclusively from God. But that does not mean that God is in direct relations only with the hosts of the supreme order (Thrones, Cherubims, Seraphims), nor that He is separated from the hosts under them. The orders that follow the first one live also in God, but as united with the first. The first order communicates their knowledge of God to the inferior ones. Not even men can feel the relation with God without a relation with other people, and therefore, albeit unconsciously, with the angels. Everything that exists in the world is a unit. But there are different degrees of unity between them and an overall unity between all. But these units are composed and dependent on one another and of the One who has nothing composed and is not united involuntarily with others, but is the One by itself and independent of all. He is the Uncaused Cause of all units in the world and of the unity between themselves. The things of the world show that they are dependent on the One who is above everything - that we know as units. This One, who is also the supreme good by itself, is not opposed to love. His Unity is a living unity, not opposed to the Trinity. His Unity is a unity of love. He is a living One or the One full of love in Himself. Through love He goes eternally out of Himself, remaining eternally in Himself. God remains in Himself and goes out of Himself in Himself eternally, but when He so desires, He goes out of Himself into other things, producing them by creation and wanting to draw them close to Him. His procession out of Himself does not oblige Him to proceed into the things that are different from Himself. He does not go out of Himself in Himself, as Trinity, in order to create things, as Fr. Cicerone Iordachescu said. Therefore proodoi cannot be translated as “emanations” as was done by Fr. Iordachescu. C. All these attributes of the Divinity places Him above understanding. God cannot be characterized by the characters proper to the world. He is neither existence, nor goodness, nor unity, nor understanding. But negation of these attributes has not the meaning of nothingness, but the superior meaning of things above what is proper to the world. The author of the writings stresses very often this fact. The man attaining sainthood lives in God, rather than explaining Him through rational concepts. D. Another “existential” difference between God and the world is asserted by the author of the Areopagitica when he considers God as non-passive, not exposed to relations and passions, whereas the world, by its very dependence of God, is passive and subject to relations and possibilities of passions. But the passivity of world components has different degrees. The angels are passive, because they are dependent in their being on God, but at the same time they have a responsibility towards Him. But responsibility unites in itself dependence and freedom. They can, therefore, contend against their dependence or responsibility towards God, as some of them have done. An inferior degree of creatures, humans, have not only the dependence from God united with the responsibility towards Him, but also a purely passive part, the body, with its processes and passions. But man can, through his responsibility towards God, fill his body with the divine powers [energies] and make it participate in the freedom of the spirit. An even inferior degree of creatures has only the passivity of the senses, deprived of consciousness - these are the animals, and the plants. But they have as their reason to exist the sustaining of the physical life of man. At the very bottom of this category is the simple matter of the earth and the minerals, which are purely passive, but also necessary for the life of man. In pantheism, everything is dependent on everything. There is nothing independent above the whole and everything, because the essence from which everything is emanated is itself subject to a law. The author of the Areopagitica makes therefore a categorical distinction between God and the world. But he also links firmly the world to God. This can be seen from the fact that, on the one hand, God goes out of Himself conferring being upon the things different from Him, and on the other hand He goes out through “processions” (proodoi) to the things in order to “bring” them back to Him, to fill them with the gifts of His goodness. Those who saw a pantheistic character in the writings have confused these two kind of acts or “processions” of God. But, if there is no difference between them, why would God continue to raise to Him and in Him the things brought into existence by Him? The author uses different terms for the bringing into existence of the things of the world, of the angels and man, which he calls paragein (to give existence) and for the gifts which he bestows subsequently to the created things in order to rise them to Him, which he calls proodoi. It is wrong to confuse the terms. But the creative act, as well as the acts of enrichment of the creatures through ever increasing gifts, show the creatures inseparably united with God. Although the author speaks of distinctions or separations between the creatures, and between the creatures and God, he does not exclude a certain inseparability between Him and creatures, even when they close themselves to the waves of goodness and superior life which come from Him; because things could not exist if they were not maintained in existence by the Cause who is above all existence. It is impossible to think of a total separation of the world from its Cause. 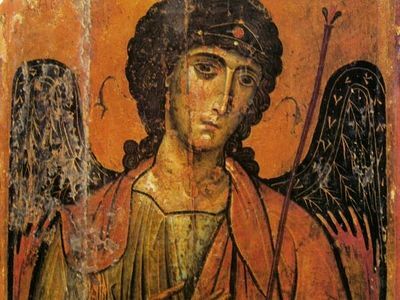 A very important component of the theme of the relation of God with the world, which is central to the Dionysian writings, is the fact that all things different from God are brought into existence to serve as symbols through which we see the works of God. They have thus a certain capacity to receive in themselves and to transmit through themselves the works of God. Actualizing the things and the human gestures as symbols, they are sanctified and made the means of sanctification of ones through the others. That confers a liturgical character to their existence. In the earliest Christian times the liturgical life – hymns, sanctifications, blessings - was extremely rich. From its rich extension in the Apostolic Constitutions or the Liturgy of St. James, the Liturgy became shorter until it crystallized in the shape of the Liturgy of St. John Chrysostom. The fact that the Areopagitic writings point to a very rich liturgical life of the Christian communities is another proof of their antiquity. The Orthodox East, the faithful keeper of the apostolic tradition, persists to this day the practice of multiple acts of sanctification, along with the conscience that God is present in all His sanctifying works. Dionysius has influenced the theological explanation of this active presence of God in everything by His works or by His uncreated energies, which are different from His being. We see this in the works of St. Maximus the Confessor and St. Gregory Palamas. The West, rejecting this distinction, as we can see in the opposition Barlaam made to St. Gregory Palamas, and unable to admit a union of men and the world with the essence of God – because that would confound everything with God - has persisted in the conscience of a God distant from the world and people, with a church led by a vicar (a deputy of the absent Christ) and/or has fallen into the extremes of a pantheist mysticism (Eckhart, Jacob Bohme), or in the philosophies that affirm that this world is the only reality. In the East, as in the Areopagitic writings, the Son of God took on human nature in order to make it the medium of our divinization, of our sanctification, which sustain us on the path of a more controlled and holier life. That is why all Fathers, including Dionysius, use the bold terms ‘divinization’, ‘gods’, and of course ‘by grace’. St. Gregory Palamas has found in the writings of Dionysius most of the arguments in his defense of the assertion of the hesychast monks that through the incessant prayer of Jesus they see in their hearts Jesus in light. One can see this in the multiple quotations from Dionysius. Generally speaking the writings of Dionysius have been in the Orthodox world the grounds for the affirmation of the active presence of God in the life of the Church and in the world. In The Ecclesiastical Hierarchy, Dionysius said that Baptism and the Liturgy were performed by the bishop assisted by a few priests but many deacons. In general older people were baptized, but not children. This situation was proper to the early Church, when churches were founded in cities, where bishoprics were founded and the first faithful were older people. The bishop is also shown performing the burials. Another sign that the writings belong to the early Christian times, when Christians were persecuted, is the mention of the ‘therapeutes’ (doorkeepers or porters), sort of sextons, usually not married, who were guarding the doors of the places of assembly. This service was no longer required in the 5th-6th centuries when the time of persecutions had passed. This is a very poor and general summary of the richness and profundity of the Areopagitic writings that our translation is far from rendering it faithfully. This is because the language itself is so subtle and complex that nobody can render it satisfactorily. In French they have been translated eleven times. This is the reason that we undertook to offer a new translation (f.n. : In Romanian, besides those of Fr. Cicerone Iordachescu and Theofil Simensky.) striving to express it in Romanian terms more traditional and spiritual, avoiding as much as we have been able the neologisms of French origin (f.n. : Much too current in modern Romanian). This is the reason why we disagree with Fr. Cicerone Iordachescu, when he says: ‘The writing of Dionysius reminds us of the dialectic of Plato and Hegel, without possessing the genius of those great masters of human thought.' We deem that the thinking of Dionysius is far more satisfactory than Plato’s or Hegel’s. In conclusion, in view of all the arguments offered, we want to keep the name of Dionysius the Areopagite as the author of these writings. Even if the author was someone living at a later time but he took the name, we respect his will and declare him worthy of the appellation of Saint, as all the Church Fathers did. 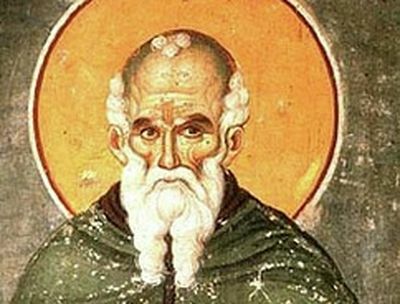 As a contribution to the understanding of the Areopagitic writings, we have also translated the Scholia of St. Maximus the Confessor. Hans Urs von Balthasar thought that the Scholia did not belong to Maximus, but to John, bishop of Scythopolis in Galilee in the first half of the sixth century. But Otto Bardenhewer believed that they belonged to St. Maximus. I think that his opinion is far more probable. From the Complete Works of St. Dionysius the Areopagite, "Introduction," with thanks to Mystagogy. L'Abbé Darras. St. Denys 1'Areopagite, p. 34. See Monuments inédits de M. Faillon, t. ii. p. 375. Clement I., A.D. 67, Cl. II. 1046. After the martyrdom of his spiritual father the Apostle Paul, Dionysius conceived of the desire to follow in his footsteps. Thus, he left Athens and travelled to Greek settlements in the West. According to tradition, he ended up, not among the many Greeks in Rome, but elsewhere among Greeks in the Roman Empire, in Gaul, in what is today Paris. It was here at the end of the first century that the elderly Dionysius found martyrdom.